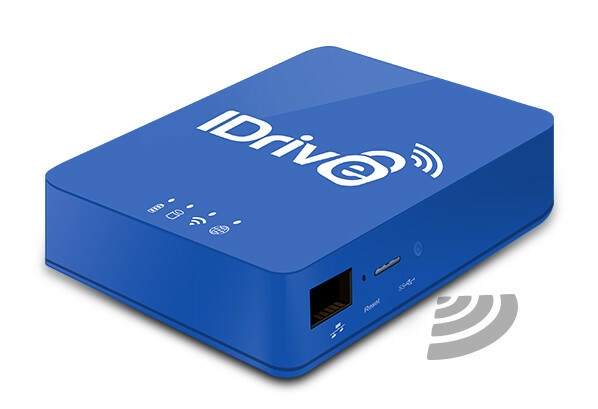 IDrive Online Backup has launched IDrive One, a wireless storage drive that boasts advanced wireless connectivity and streaming capabilities along with the option for internal SSD drives for improved performance. IDrive One works with the IDrive One app, which is available for iOS and Android allowing users to automatically transfer their videos, photos and music while creating a custom media library, where users can stream their content to a number of multiple devices. SSD: Renowned the world over for its blistering speed. Wi-Fi: Renowned the world over for being slow/laggy, bottlenecking HDD NAS systems. SSDs are also lighter, more shuck resistant and more efficient then a HDD, all things that are nice in a small, portable nas. I'm not seeing anything about this new hardware. Is it not part of the online backup service.... like something completely different? Also - is iDrive the best online backup choice for a normal every day user? I consider myself a power user on Windows... but I don't do any coding, heavy gaming, or graphics. Will it be enough for my needs?